Hope there's not going to be candle lit dinners! 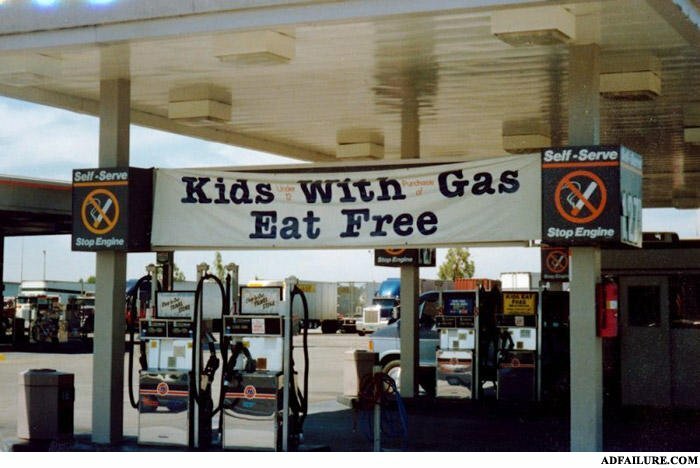 Who eats at a gas station? Lets eat some some beans!!! Then toot on down the road! Don't u have to be 16 to buy gas? stop my engine?? (my gas) its unstoppable!!! Hey, you want a ride?